"Stop Procrastinating And Start Doing! 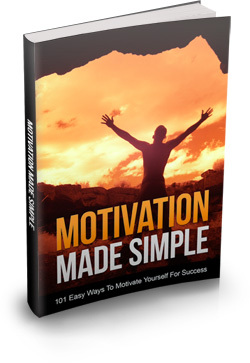 Discover 101 Easy Ways To Motivate Yourself For Success!..." Motivation is literally the desire we have to do things. It's the crucial element in setting and attaining goals. Research shows you can influence your own levels of motivation, but far too often, we fail to do so. Everyone faces doubt and depression at one time or another.